Attempts to revive the '90s never seem end, from TV networks rebooting sitcoms and grocery shopping-themed gameshows that have been off the air for 20 years, to companies like Nintendo cashing in on the nostalgia frenzy with new versions of popular old-school consoles. Even the world of adult beverages can't escape the craze, as Zima is staging another comeback by bringing bottles of its lightly carbonated, super-sweet drink back to shelves across the country just in time for summer. Zima, the citrus-flavored, crystal-clear malt beverage that made quite a splash when it first arrived on the scene in 1994, is coming back to stores for a very limited time. It's actually the second time in as many years that Zima's seen a reboot, having been re-introduced for the first time since 2008 for a fleeting moment last summer. This time, though, MillerCoors is hoping to tap deeper into the '90s nostalgia by tying the drink's return to a very specific memory from the era in which it first flourished: Y2K. Specifically, the company has dibbed the drink's return "Z2K," an homage to Y2K, when there was a fleeting overblown worldwide panic that global computer networks would crash when the date changed from 1999 to 2000. In other words, they're just letting everyone know Zima won't be around for long this time around, so you should stock up while you can. 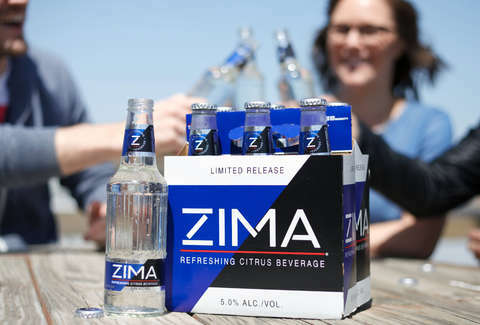 “Everyone needs to try Zima once -- it is a novelty," Dilini Fernando, MillerCoors senior marketing manager for innovation, said in a press release. "If it’s not for the crystal-clear appearance and familiar citrus taste, it’s the iconic fluted bottle. So, if you didn’t get your hands on a six-pack last year, now is the time to see what all the hype is about and stock up." To get your hands on a six pack of the stuff (or twelve, for your Z2K bunker), you can scope out which stores in your area are selling them at Zima.com.